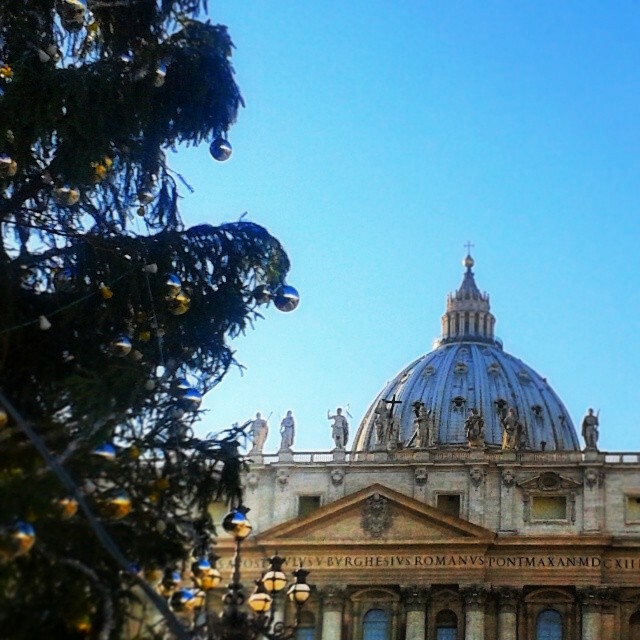 Merry Christmas - Buon Natale from Rome! 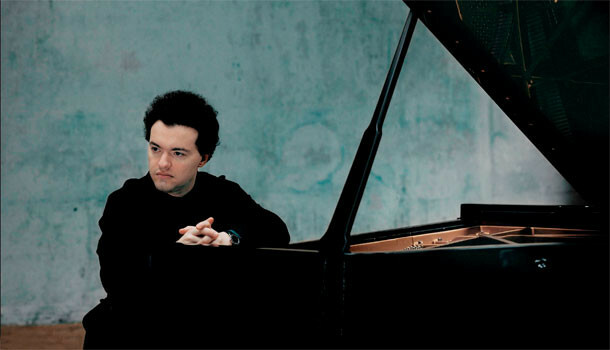 It's a staggering thought, but Russian-born classical pianist Evgeny Kissin has been thrilling concert-goers for some three decades now - quite some feat if one considers that he is still only 42. The one time pre-teen prodigy is now lauded by critics as one of the most formidable adult players in the world today, and luckily for us in Rome, he returns almost annually to perform in the Santa Cecilia Hall at the Auditorium Parco della Musica. There is always that special buzz of eager anticipation prior to a Kissin performance, so I was surprised to see some empty seats in the concert hall for his solo recital on Thursday evening. The recession is clearly taking its toll on ticket sales in Rome – Kissin events are usually sold-out – but when he walked out on stage, he was greeted with deafening applause, which belied the empty places. A reception of such warmth is reserved for only a handful of classical music performers at the Auditorium, and the audience would get louder, with whoops and cheers added to the applause, as the concert progressed. Kissin is a virtuoso pianist of impeccable technique, yet what makes him so remarkable is his musical approach and insight – he seeks out the very heart of a composition – and takes an audience on that journey. There were moments on Thursday evening when I found myself smiling and almost gasping out loud at the brilliance of his playing, particularly during the second half of the concert dedicated to Scriabin – the poetic Sonata n. 2 op. 19, followed by a selection of the composer's Chopinesque Études op. 8, in which Kissin effortlessly ran through the gamut of emotions, switching mood from wistfully nostalgic, though achingly sad, to passionate. It was breathtaking playing. After five curtain calls and thunderous applause at the end of the concert, Kissin finally ended the cat and mouse teasing with his adoring public and sat down again for three sublime encores – the Kempff transcription of Bach's Siciliana, another Scriabin Étude, and to close the evening, an exhilarating Polonaise, Op. 53 by Chopin, which brought the cheering audience to its feet for a well deserved standing ovation. 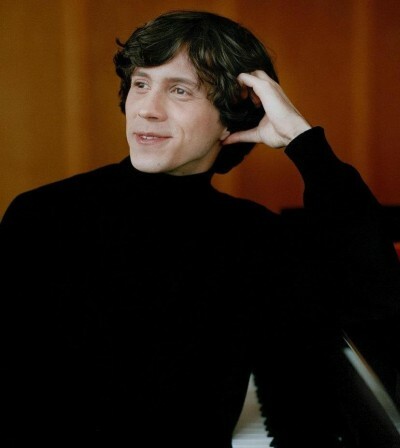 Young Polish pianist Rafał Blechacz is certainly no stranger to the Santa Cecilia Hall at the Auditorium Parco della Musica in Rome. Performing in May this year as part of the Chamber Music Season, he was back to delight the audience again yesterday evening, this time accompanied by the Orchestra dell'Accademia Nazionale di Santa Cecilia, under the baton of guest conductor Kent Nagano, music director of the Orchestre Symphonique de Montréal and the Bavarian State Opera. I've had the pleasure of hearing Rafał Blechacz perform on several occasions over the last couple of years, and once again last night I was impressed not only by his sheer virtuosity, but also by the refined elegance, maturity of interpretation, and consummate poise in his playing. The unique peculiarities of Mozart's dramatic Piano Concerto No. 24 K 491 in C minor - one of only two concertos he composed in minor keys - turned the spotlight on the pianist in the cadenza in the first movement and the variations in the final. Mozart left us no written cadenzas for this concerto, and for this performance that of Mozart's pupil Johann Nepomuk Hummel was chosen. Greeted with long and sustained applause at the end of the concerto Blechacz was brought back out on stage for several curtain calls before accepting Nagano's invitation to play an encore. It's always a joy to hear him play Chopin and last night's Polonaise in C minor op. 40 was utter poetry. The second half of the concert was entirely dedicated to Anton Bruckner's monumental masterpiece dedicated to Richard Wagner - Symphony No. 3 in D minor (also known as his “Wagner Symphony”). Only the third time in which this majestic tour-de-force has been performed by the Santa Cecilia Orchestra in its history (with its last outing over thirty years ago), Nagano kept the audience enthralled throughout this long, yet immensely rewarding symphony, with both orchestra and conductor warmly applauded after the finale. 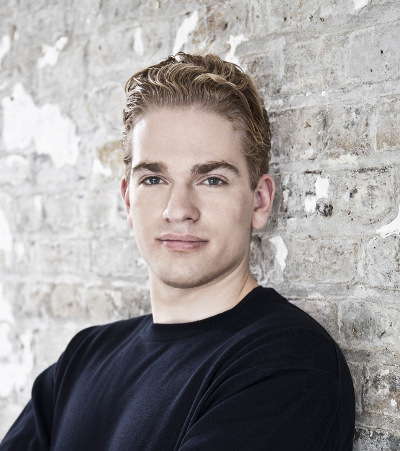 The prodigiously talented young German concert pianist Joseph Moog turns twenty-six later this month, but he already has an impressive number of critically acclaimed recordings to his name, including last year's highly praised CD of Rubinstein & Rachmaninov Concertos. I was delighted, therefore, when I learned that he would be performing Rachmaninov with the Orchestra Sinfonica di Roma at the Auditorium Conciliazione. There's no denying that Rachmaninov's Piano Concerto n.2 is something of a warhorse, forever associated with the film Brief Encounter and even borrowed in the pop ballad All By Myself, yet it remains enduringly popular and irresistibly wonderful. Moog's reading during Sunday's afternoon concert was effortlessly authoritative from the opening bell-like chords, and was played with a warm, yet muscular tone, and brilliantly articulated pianism. The grandeur of Moog's technical ability was matched by an imposing stage presence, whilst Maestro Goffredo - winner of the Rachmaninov International Piano Competition for two consecutive editions in 1982 and 1983 – encouraged a lush, sweeping accompaniment from the orchestra. It was a hugely enjoyable performance. Rapturous applause greeted the close of the concerto and the audience was rewarded with an exquisite Debussy solo encore from the pianist. The afternoon was rounded out by a zealous performance of another perennial favourite, Tchaikovsky's Symphony n. 4.